Boston Whaler is setting out to do more with the all-new Boston Whaler 130 and 150 than just offering stylish boats, they want to change the way customers to upgrade and personalize their new craft. 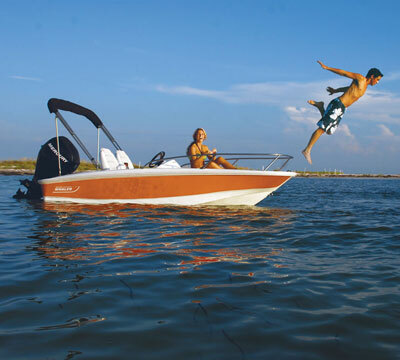 It’s all based on an innovative modular design concept that features add-on accessories and equipment that can be installed by the dealer or the consumer, so customizing the boat is a breeze. 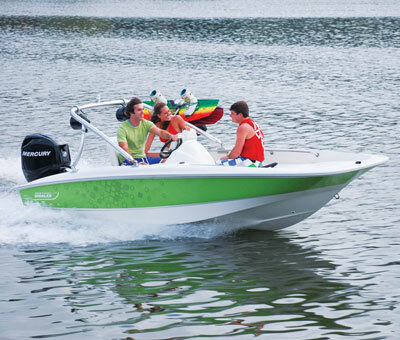 Whether it’s a base boat or decked out, the Super Sport fits any boating preference. 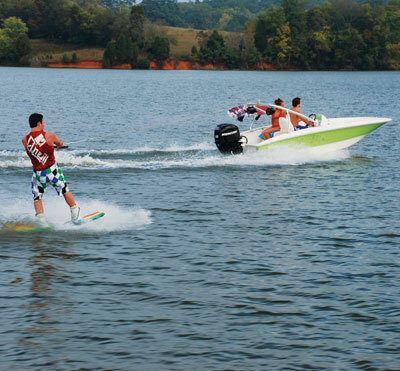 So if you wake up and want to wakeboard, go fishing in the afternoon, then cruise with friends in the evening, a Super Sport can be ready for anything. Boston Whaler says their fans will also be inspired by a whole new way to buy the Super Sport add-on accessories – via an online store. Whaler customers can continue to visit their local dealer and buy items through them, but they can also go to the Boston Whaler website www.whaler.com for their Super Sport accessories. Items can be shipped directly to the customer or drop shipped to the dealer for installation. 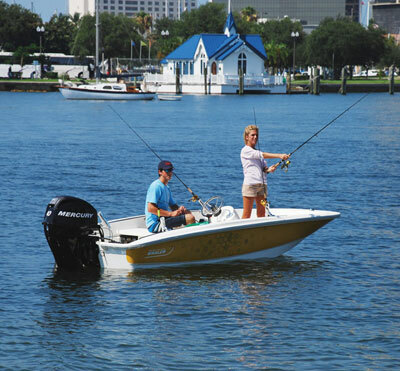 This concept is due to Boston Whaler’s strategic alliance with Land N Sea, a leader in accessory distribution, which will stock the items and fulfill the orders through their various North American warehouses. 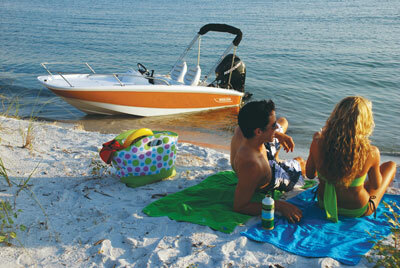 As a result, Boston Whaler will transform the way they interact with their customer. Standard features include: Fiberglass helm bench seat with two (2) cup holders, side console with storage, tachometer, 6.6-gallon portable fuel tank, no-feedback steering, navigation lights, welded stainless steel side rails and galvanized trailer. Notable options and accessories: Bucket sport seats, bench seat with backrest, console side seat cooler, sun lounge, premium stereo (dealer installed), rail-mounted carry-on livewell, adjustable rail-mounted rod holders, storage organizers, Sport stainless steel steering wheel. 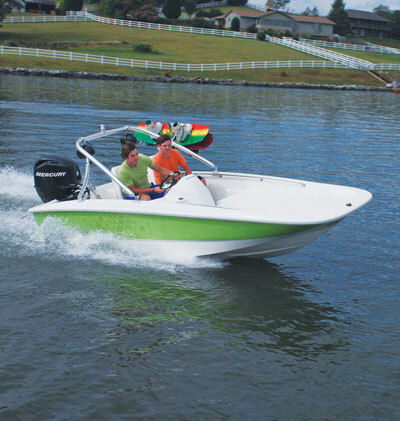 Standard features include: Fiberglass helm bench seat with 2 cup holders, console side seat cooler, side console with storage, tachometer, 6.6-gallon portable fuel tank, no-feedback steering, navigation lights, welded stainless steel side rails, galvanized trailer with swing tongue. 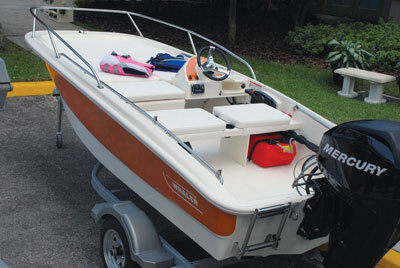 Notable options and accessories: Bucket sport seats, bench seat with backrest, fishing seat, poling platform, tow arch wakeboard rack, additional console side seat cooler, sun lounge, premium stereo (dealer installed), rail-mounted carry-on livewell, adjustable rail-mounted rod holders, storage organizers and stainless steel steering wheel.